Open, one-piece clutch cover design. Provides lower operating temperature, higher strength and minimized deflection for quick shifting. Five diaphragm spring rate options. 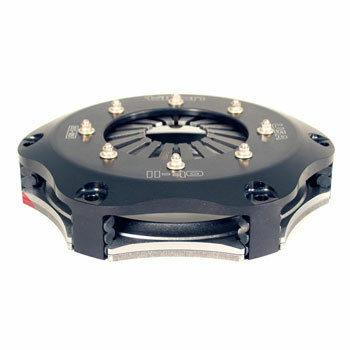 Provides a wide range of torque capacities and release loads to tune the clutch for the application. Chrome vanadium diaphragm springs and an engineered pressure plate geometry. Provides a high clamp load-to-wear ratio, low release load and quick shifting. .283″ thick friction disc. Provides excellent wear resistance and withstands elevated temperatures. Hardened steel thrust buttons provide a smooth and durable surface for pressure and floater plates. Individually inspected for proper assembly and balance. We carry them for many popular BMW applications.